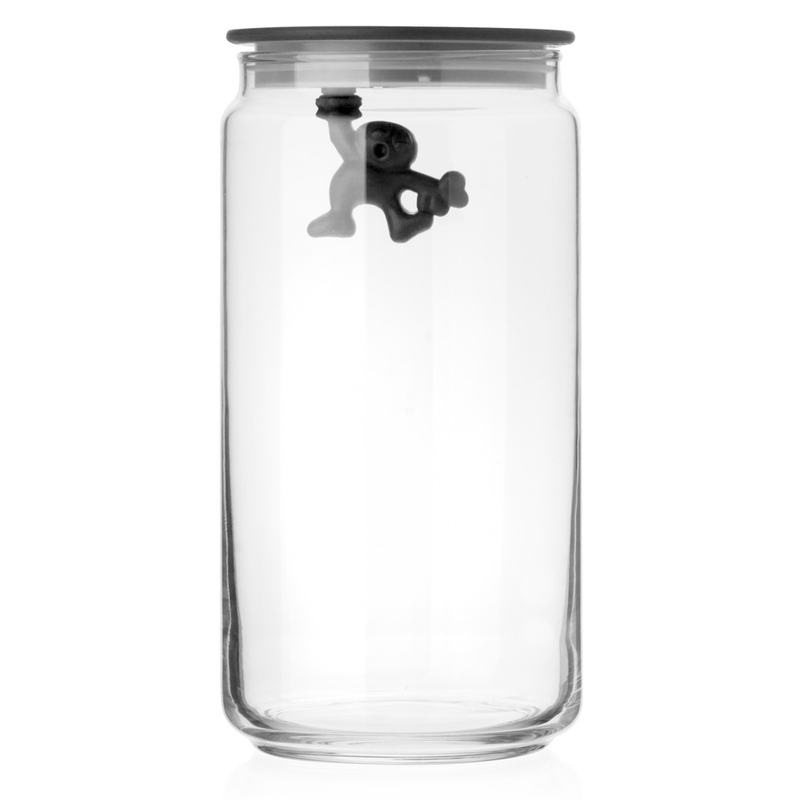 Add some quirkiness to your kitchen with Alessi's delightful Gianni Large Jar with Black Lid. This durable glass jar is perfect for storing anything, from pasta to rice and even cookies. And it can keep your food fresher for longer, thanks to its plastic lid and rubber seal. Pop the jar on your kitchen worktop or pantry and let it bring a touch of playfulness to your home.